Data fields from the application and data group, where the new grouping will be created, can be selected or newly created here. Opens a dialog where you can create new data fields in the current data group. Opens a dialog where existing data fields can be selected to be inserted into the grouping. The currently marked control will be removed from the list. Moves the selected element up or down in the list, respetively. 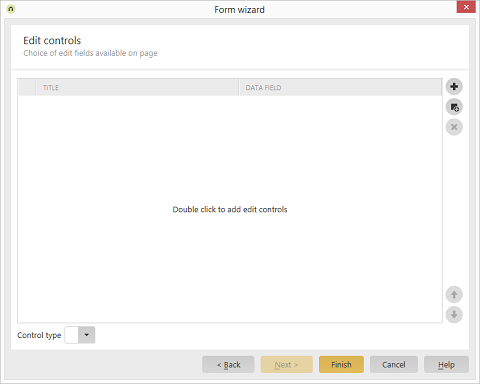 Select the format with which the contents of the control are to be displayed in the browser.